What wouldn't you give for extra time on Grand Case Beach, St. Martin? Azure seas, soft sand, gentle breezes – there's just no getting enough of this place. We may not have visited all 365 Antigua beaches during our most recent visit, but we did arrive at a favorite from among the ones we did see. Government shutdowns, DACA, North Korean nukes, #metoo, the Russia Investigation... Current TV news headlines make an escape to the Caribbean more essential than ever these days. For me, if said escape takes me to Martinique, all the better. There was something about this bench shaded by its windswept companion on the southeastern coast of St. Croix that spoke to us. Be present in this month's moment of Zen video. 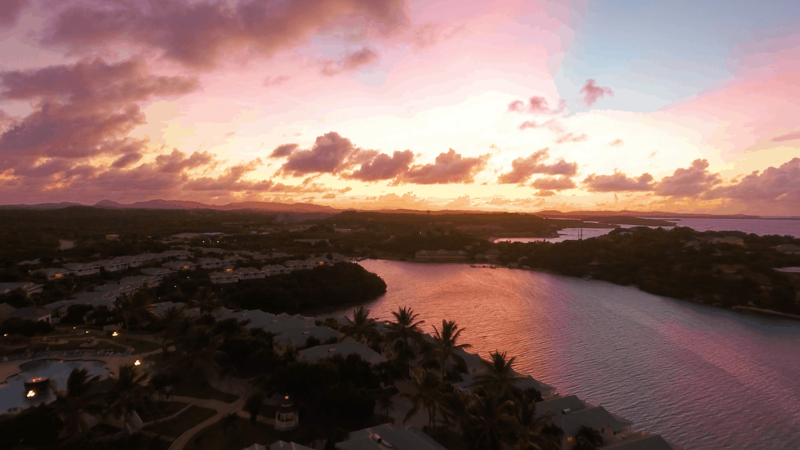 Take a moment to rise above it all with this video of sparkling seas, infinite greens, and the warm little island of Antigua. Luquillo is the kind of place that invites exploration, mixing with the locals, and rising with the sun to experience the real spirit of Puerto Rico. 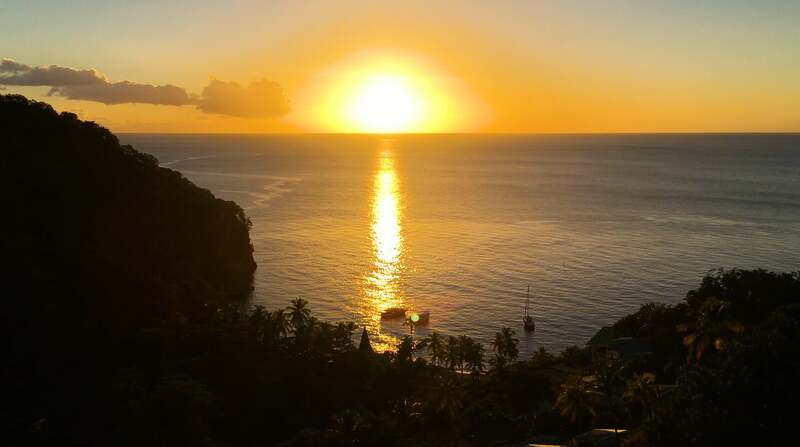 Taking in the sunset from your mountainside perch at the incomparable Jade Mountain on St. Lucia is like a masterclass in bliss. Head down the jetty at Rum Point, Grand Cayman for a little breezy peace and serenity.